Honestly...where does the time go? It seems like only yesterday that we launched our inaugural Higher Education Web Survey. Our goal and even our hope for the survey was that we'd get a small group of Universities and Colleges to share their insights into what it means to work in a web/communications role in higher education. To let us in on the realities, the priorities, the frustrations and the drivers behind a 21st century university competing in a global context. To lift the veil as it were. We could never have imagined that it would become what it has. Our 3rd survey, released in 2016, had participants from almost 300 universities and colleges throughout the world and the report itself downloaded by representatives of nearly 1,100 institutions. It's been a phenomenal success. That said the mission remains the same for us; to contribute to the dialogue and understanding of modern day higher education. To create a forum for collaboration, prioritization and benchmarking for marketing, web, recruitment and leadership professionals in higher education. 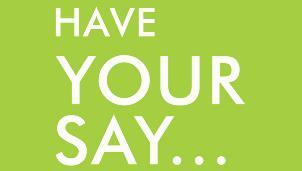 We encourage you to have your say and share your lived experience. You can complete the survey here.